New Zealand is one of the world’s most remote and naturally spectacular nations. From its giant mountain peaks and rugged fjords, to its pristine national parks and turquoise coloured lakes – it’s a country that any lover of the outdoors will instantly fall in love with. 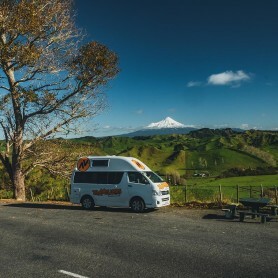 Travelling New Zealand in a campervan is a fantastic way of immersing yourself in the country’s outdoor beauty. 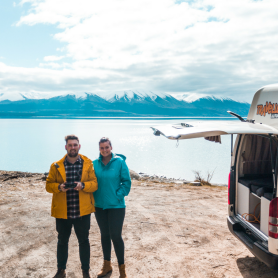 Best of all, New Zealand is a freedom camping nation, which means you can find plenty of campgrounds that have great facilities and don’t cost a single cent! 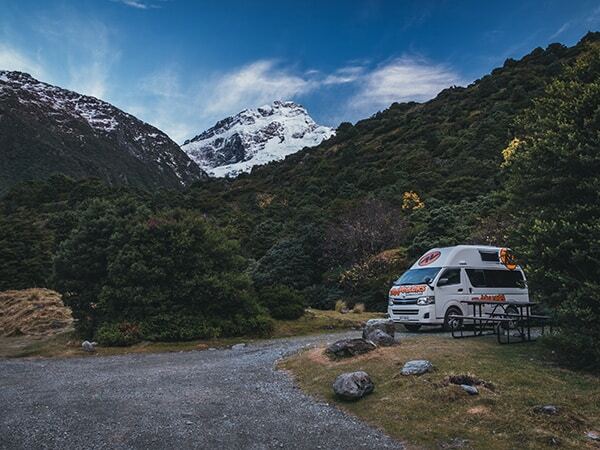 So if you don’t want the hustle and bustle of a busy caravan park and would prefer to sleep among nature, try giving FREEDOM CAMPING a try when you’re travelling around New Zealand. So what is freedom camping? 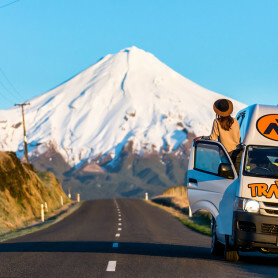 New Zealand is a nation which is extremely popular for camping and campervan travel, also making it a great place for freedom camping. Freedom Camping is the practice of setting up camp or pulling up in your campervan in areas which are designated for camping without a cost. Generally, these freedom camping areas will have very basic or no amenities, such as toilets and barbeques. Free camping especially appeals to those campers who are wanting a cheap way to camp, or a more rustic and natural experience. 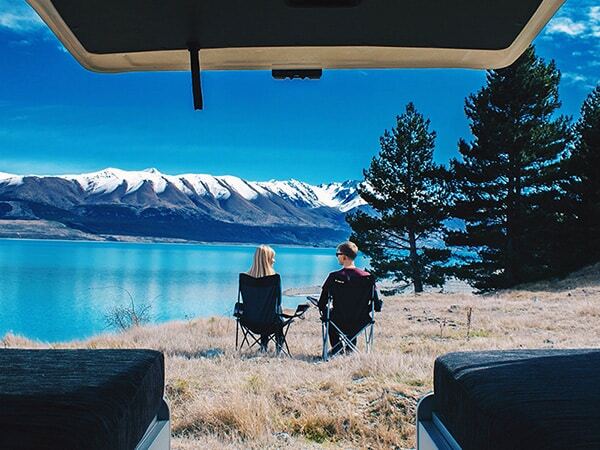 Here are some great freedom camping spots in the South Island, just to give you a taster. Freedom camping is marked by various signage, or you can find out where these places are by visiting the Freedom Camping New Zealand. You can also stop in at the local information centres to ask where you are able to camp. What do I need to know to freedom camp? 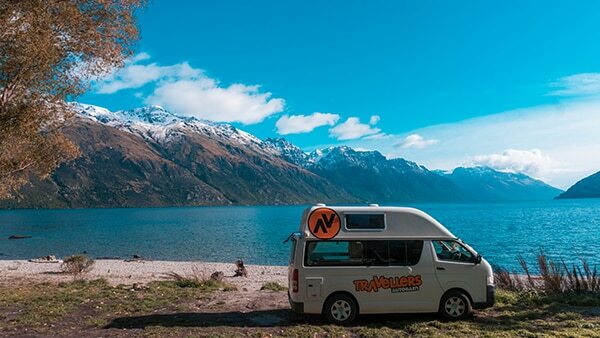 Due to the sheer amount of campervan travellers in New Zealand, the government has made strict regulations on where you can and cannot stay the night. To legally free camp in New Zealand, you must have a self-containment certification. This basically means you need to be carrying portable toilet facility in order to camp in places that may not have them, as well as your campervan needing to have a grey-water tank to prevent waste from polluting the ground. With this ‘self-contained’ certification, there will be a government-issued blue sticker placed on the window of your authorised vehicle. Freedom camping and failing to display this sticker can result in heavy fines. 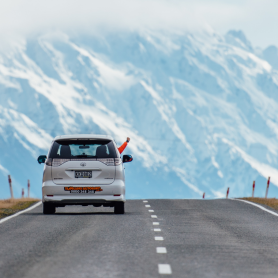 It is therefore best to opt for a self-contained campervan when exploring New Zealand. 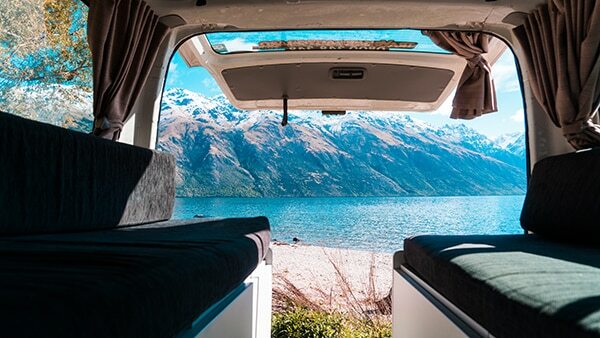 Tip: If you are after hiring a self-contained campervan in New Zealand please visit our Campervan Hire page. By adding a ‘porta-potti’ as an extra on your booking, you will receive this self-contained sticker. Travellers Autobarn App – not only is it for free and will help you to be able to find the best freedom camping sites, but you can also get all your vehicle information, safety tips and activity advice (available for Android and IOS). Rankers Camping NZ App – another free app, which will show you over 1500 locations to camp, showing both full-facility holiday parks or an isolated hideaway (available for Android and IOS). 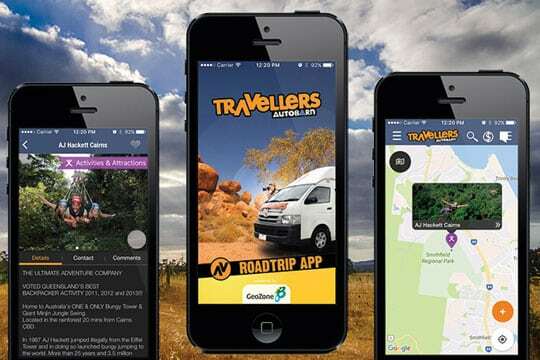 CamperMate App – this will help you to find freedom camping spots, as well as receive traveller submitted tips and emergency alerts, giving you piece of mind when you travel. (available for Android and IOS). If you also want top tips on the 4 Best Apps for Freedom Camping in New Zealand then come and explore. Looking for more information about Freedom Camping please visit our Freedom Camping North Island or Freedom Camping South Island sections.